What Has The Mayor Ever Done For Us? London Mayor, Siddiq Khan, has not been making himself popular. At the end of 2018 he was called up to explain the delay over Crossrail. This project is currently running at least a year late. Desperate for money to prop up Transport for London he also spent much of the £42 million that was ring-fenced to help the transition to electric taxis. Like Boris before him, the new London Mayor is losing the goodwill of cab-driving voters. The decision to subject minicabs to the congestion charge was welcome, but was used as Christmas wrapping to hide plans to reduce the age limit on taxis and take many cabs off the roads before their time. This would have a detrimental effect on second-hand taxi values, and simultaneously slow the move to electric taxis. Middle-aged cabs will be kept on longer. Not many of us want to drive a twelve or fifteen year-old cab, but times are hard and most of us can’t afford to buy a new taxi at £57,000 (before finance costs). If a cab can get through an MOT and a rigorous inspection, that should be enough. Look at the age of some of our buses – and they’re not all going to be zero emission until 2037! The Mayor spent a reported three million pounds on the New Year firework display – which is now only accessible to those who buy a ticket. I watched the fireworks on television this year. Very nice too; though part of me kept thinking of all that money gone up in smoke. Is it a smokescreen to take our minds off the real issues? The Mayor’s real priorities should be housing, transport and crime-prevention; not a pay-per-view firework display. Back on the roads, the Mayor is trying to change people’s on-line shopping habits, as vans delivering goods to Central London offices are causing congestion. The number of delivery vans has increased two per cent each year. An increasing number of deliveries, coupled with the rampant licensing of minicabs, has made London more congested than ever. Serious congestion reminds everyone that the Mayor’s cycle superhighways are partly to blame. The Mayor’s big idea is to establish parcel collection points in suburban tube stations, supermarkets and corner shops. I’ve picked up several Amazon packages at my local Morrison’s, but only certain, smaller packages, can be sent to supermarkets. Besides, waiting around for Amazon packages has become a great tradition, particularly around Christmas. You know when a parcel has been despatched, but you don’t know when it’ll arrive. You can pay extra for same day delivery, but where’s the fun in that? The excitement comes from wondering whether to risk nipping out for five minutes knowing that a van driven by an under-paid, time-pressured, driver on a zero-hour contract could arrive the moment you close the front door behind you. Sometimes you even weigh up whether to go to work if you’re expecting something important. I have a radical idea. Instead of home-delivery, or parcel collection hubs; units could be set up containing goods for sale. Shoppers would have no need to read through an on-line catalogue to find items, or to enter the sometimes difficult world of filling in payment and delivery details: all the goods would be on full view and available for immediate purchase – with cash if desired. These units could each contain goods of a certain type. I propose we call these units “Shops.” Larger shops could offer a range of disparate items, each arranged in their own sections. This type of unit could perhaps be called a “Department Store”. Department stores and run-of-the-mill shops could be sited in areas of high density footfall, perhaps on high streets. Joining shops could be pubs, cafes, restaurants, and banks. This could create a hive of commercial and social activity in our neglected town centres. Once all these businesses are grouped together in one area I really think the high street could take off. What could possibly go wrong? Apart from engineering crazy road systems and arranging firework displays, what else does a Mayor do? In order to research this I went back to my 1960s childhood and downloaded an episode of Trumpton. I must admit I didn’t come up with much. The Trumpton Mayor wears a tricorn hat and a gold chain of office, but his activities are vague. All I can really say is that he presides over a town with little traffic, no visible parking restrictions, and a slow pace of life. The fire station is fully-manned with an efficient and motivated workforce, and the Mayor runs the show with a quiet dignity – handing out free drinks and ice cream to the townsfolk on his birthday. The town doesn’t look like a place that would be able to cope with driverless cars in the future, and there are no kamikaze cyclists tearing around. And no EU interference, some might say. As we journey deep into the land of kippers we wonder what this year will bring. We might also wonder what is going on in other people’s professions. I was particularly interested in the mad things that were going on in the police service towards the end of 2018. For a fair while, under-reaction had been the order of the day, with “lesser” crimes not being adequately investigated. Then there was a controversial counter reaction against moped mugging gangs. There was also a comical move into branded merchandising by the Met. As most people in the London taxi trade are aware, there had been a spate of robberies of drivers in and around the Lisson Grove area. I’ve spoken to drivers who fell victim years ago, but activity intensified in the autumn of 2018. Drivers reported attacks to the police but the crimes weren’t followed up. On bonfire night, gangs barricaded Rossmore Road and attacked passing taxis by throwing traffic cones. The polizia showed up but withdrew when they came under fire from bricks and stones. That was pretty much the end of the police’s involvement, though attacks on taxis continued and spread to new areas. In most cases, the police refused to investigate, despite having at their disposal eyewitness accounts, photographs and CCTV footage. On Saturday November 17th I came home from work early because I couldn’t get around. Protestors calling themselves “Extinction Rebellion” (whose aims were vague) blockaded five Central London bridges. The police shut more streets off and let them get on with it. The demonstrations continued into the following week and London’s roads were in chaos. There were 84 arrests on the Saturday, but none on the following Wednesday when the demo had been stepped up to ruin many people’s midweek routine. The police often talk about a lack of resources. This is undoubtedly hampering the police to some extent, but they still had the resources to put cones out and direct traffic around the affected areas. Call me reactionary, but I would like to have seen Boris’s obsolete water cannon tested on Extinction Rebellion – or phantom drones – before he sold it (at a huge loss). The police are only as good as their funding, and they have undoubtedly suffered from a lack of money. They should be responding to reports of robbery though, particularly when evidence is handed to them on a plate. I’d urge anyone who’s been victim of a crime to report it. And to the police; reporting things on Twitter doesn’t count! A little later in November, a shift in attitude was reported concerning the epidemic of robberies by teenagers riding mopeds. It was reported that the police were reversing their earlier strategy of giving up the chase, and would now ram the machines with their cars. The Metropolitan Police suggested that the days of passive resistance were over. The police talked about a walk on by culture after an attack on a police officer was filmed and shown on social media. This was in contrast to the Lisson Grove crime epidemic, where they wouldn’t respond adequately when presented with evidence, and just walked off when the perpetrators turned on them. They used to tell us not to get involved. You might get hurt, or become subject to prosecution should you take the law into your own hands; even if you’re defending your own property or protecting yourself and others. Taxi drivers who came under attack after the bonfire night incident were reluctant to report attacks as they’d lost confidence in the police. Were the police still fobbing victims of crime off with excuses, or were they now working against the walk on by culture? Which version of the police service would we be dealing with as we went into 2019? The Met had other distractions anyway. They’d recently launched a range of branded clothing, toys and souvenirs. Actually I’d quite fancy one of those checked baseball caps that the cops with guns wear. I could buy a toy gun and spend many happy hours running around the house shouting “Stop! Armed Police!” at the wife and cat. Maybe all those police stations that have closed in the past few years will re-open in order to handle the retail side? Existing stations could extend their hours – perhaps have a late shopping day on Thursdays? We could hand it lost property again, like we used to. The term “Cop Shop” will carry more meaning. We can report crimes in the traditional way, then browse the merchandise as we exit through the gift shop. As for the ramming of moped gangs, I’m not sure I believe the hype. It could just be an opportunity to stop motorcyclists in a desperate attempt to sell them an “I’ve Met the Met” baseball cap. Mr Corbyn still refuses to talk to Mrs May. He’s too busy talking to The IRA, Hamas, Hezbollah, and President Assad. The EU are going to commission Mr Trump to build his wall in Ireland. (New Year article written for Taxi magazine). The New Year is a time for reflection. We look over the past year: what went well, what went badly; and what our hopes are for the coming year. Work-wise, if you’ve been in the same job for a while you tend to compare and contrast with previous years. December 2018 marked thirty years since I gained my first green badge. Yes, I’m on my second. Those who are familiar with my story know I left the cab trade in the 1990s to do other things, and foolishly neglected to renew my cab licence. During the 90s I attended various colleges and universities and eventually became a Careers Adviser. I didn’t think I’d drive a cab again and I didn’t keep up to date with what was happening in the trade (the Blur v Oasis Britpop feud was a big event for students of the mid-90s: I had other distractions). I left London for good in 1999, but was disillusioned when I entered the so-called professional world. I soon wanted my freedom back. I started the Knowledge again in 2010, and gained my second licence four months later through a Knowledge re-test with the legendary Mr Wilkin. When I think back to December 1988 and beyond, things are very hazy. I remember my decision to go on the Knowledge – a surprising one considering I couldn’t even drive – and I remember riding runs on my Vespa and attending Knowledge Point School. I even remember the memory tricks the school taught me. Knowledge Point students of my generation may recall the phrase “Skin Percy’s Liver” used in order to remember the running order of Skinner Street, Percival Street and Lever Street; or the “Place Your Primrose Over Cyril’s Parked Connaught” phrase used to remember the mansion blocks on Prince of Wales Drive (answers on a postcard, please…). I sometimes wonder how I got through the Knowledge, as I have the memory span of a goldfish. Some drivers of my time can remember what questions they were asked on Appearances. I don’t even remember which examiner gave me my Req. I remember my first job though: it was a young lady going from Theobalds Road to Victoria. I remember how my new job was making me tired, and how I’d go home after a few hours in my first week. The traffic flowed easier in the late-80s, but perhaps not as freely as we like to remember. Cash from Cameras was in its infancy, but the clamping units were feared by everyone. I remember the constant breakdowns, and how the cab would fail to start in the winter and over-heat in the summer. I remember how the cabs I drove were woefully underpowered and wouldn’t go up steep hills. The cabs are better now, but the taxi trade barely reached the twentieth century until the arrival of the Fairway. Drivers still have an understandable affection for this model. Until the recession in around 1990 I’d circulate around St James’s and Mayfair. I rarely used ranks because I didn’t need to. Picking up the occasional celebrity added a bit of excitement. I can still see George Best in his leather jacket. 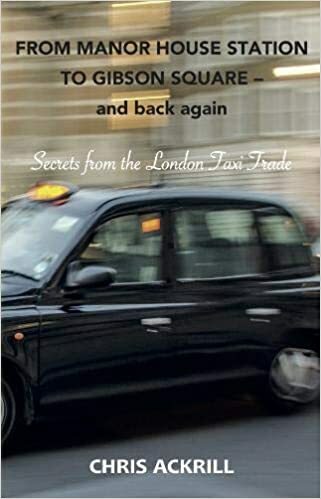 He was a well-known figure to drivers in Mayfair and I picked him up twice on Curzon Street. He was nothing like the media portrayal of the Manchester United legend as a hell-raiser. I found him quiet and friendly. The actor Stewart Grainger, who I also picked up in Curzon Street could well have been a real hell-raiser. He didn’t stop talking. As we arrived at his destination on Fulham Broadway he gave his opinion that the place was a “sh*thole”. Another legend was Robert Plant of Led Zeppelin: a laid-back guy who wanted to talk about the TV programme he’d watched the previous night. Many film and TV starts rode in my cab in the early days: Richard Harris, Rita Tushingham, Susan Hampshire, the two ladies from Birds of a Feather; and a particular favourite, Spider from Coronation Street. There were around 40,000 minicabs in London. They didn’t noticeably infringe on my livelihood as a day man, but night drivers had problems with blokes in cars touting illegally for work. Minicabs weren’t licensed back then, but they were allowed to operate so long as they were booked through an operator and didn’t stop for people on the street. There aren’t many more taxi drivers now than there were in 1990, but there now around 114,000 minicabs, and many of these are exploiting a weak licensing body in order to respond to immediate hiring through technology. OK, let’s not get too upset about that as we say goodbye to 2018. I’m confident things will swing back our way a bit in the New Year. We need to go into the New Year with a bit of pride and with the determination to do our bit to promote our trade. In 2019 I’ll be spending time filling in on-line consultations over changes to road systems. Most questionnaires don’t take long to complete and it’s essential we give those making our work more difficult our views – and patiently and without rudeness. TfL listen to no-one unless forced to, but the Oxford Street and Swiss Cottage plans were sent back for revision in 2018. We need more unity to keep the trade strong: class action such as the Mischon de Reya Cabbie Group Action could well be the way forward. Our mantra for 2019 could be “Assertive, but not Aggressive.” We have to be very careful to keep our house in order and keep the public on our side. I Enjoyed the Knowledge so much I did it twice! I’m pleased to announce that my book has now gone live! I haven’t any promotional materials to put on the t’internet yet, apart from whatever comes up on the links above & below. I had a good laugh at the headline in Taxi on October 3oth: “Addison Lee Plans Driverless Minicabs by 2021.” I checked to see if it was April Fool’s Day, but no; our old private hire friends Addison Lee reckon they’ll be rolling out driverless cars within three years. It was almost Halloween, but I wasn’t spooked by ALs claims, as stories are regularly popping up about driverless cars and minicabs. They can all be driven off with a clove of garlic. It’s true that companies with money to burn are still testing out driverless cars. British start-up FiveA1 said it’ll trial an autonomous ride-sharing service in the suburbs of London next year. Nice publicity stunt, Addison Lee and FiveA1; but it’ll come to nothing. The scariest organisation of them all, Uber, suspended testing when a woman was tragically killed by a driverless Uber car this March in Arizona. Apple’s co-founder, Steve Wozniak, is the voice of reason, saying he can’t see autonomous cars becoming a reality because of the challenges in real-world scenarios. Real-world scenarios include being able to tell the difference between a rock in the road and a paper bag. Never mind Brexit, international boundaries make things more complicated too. Most of the technology is from the USA, and American software in driverless cars is unsuitable for use outside the USA. The artificial intelligence in American vehicles can’t spot black cabs and red buses because it hasn’t been programmed to recognise shapes not encountered on American roads. This could pose a problem in London. I daresay American software could be programmed eventually, but I still think the technology is some way off. Driverless cars will never be sophisticated enough to operate on British cities. Maybe pods could drive themselves up and down separate lanes alongside the boulevards of Milton Keynes, but they’d basically be trams. Or those monorails I fondly remember from holidays to Butlins in the 1960s. It won’t happen in London. If a driverless car can’t spot a London bus, will it be able to spot traffic cones, plastic orange fencing, metal barriers, or bits of metal sticking out of those huge iron barriers that have blighted the area around Buckingham Palace for years? Will an autonomous car know to move over to avoid cycle lanes, or even cycles? Will driverless technology be able to handle different environmental conditions? What about the weather? Will hail stones be identified as missiles? Will fog, rain, and large snowflakes slow things down? What about the wrong kind of leaves on the road? Will a self-driven minicab be able to expertly park between two vehicles while a passenger uses a cashpoint? Will a self-driven taxi be able to park between two other cabs, fix an electrical cable between the vehicle and a charging point, and somehow make payment (assuming diesel vehicles have been bombed and banned by this time)? No, driverless cabs are aeons away. Electric cabs are already here though, and there are more on the roads every day. I really didn’t think the take-up would be so high, particularly with the high price of the current vehicle available, and concerns over the lack of charging points. Three-month waiting list! My seven-year old TX4 had a new engine fitted in October, and a new gearbox in November. That was my savings gone. It could be a lean Christmas, and I won’t by thinking about going electric for a good eighteen months. There should be more charging points by then, and hopefully a choice of vehicle (I presume self-driving cars would face the same problem in finding charging points?). The electric car project is realistic though. I see the future to be one of one-stop motorists’ centres: a combined charging station, supermarket and café. Maybe a service centre too. It’s all very exciting, but I can’t see the future of motoring without the driver. I’ll look forward to the New Year with optimism, and with no driverless minicabs on the horizon, ever. For a change, I’ll finish with someone else’s opinion on the subject: “This cannot be considered a mature technology if it cannot recognise a red bus but it can spot a Chevorolet.” This quote is from the aptly named MP, Tom Brake. No it’s really not April 1. As Noddy Holder customary says at this time of year, “it’s Christmas!” Have a large one.